If you are interested in the living history of New Zealand one of the must-see places is Totara Estate in the South of Oamaru. This historical farm building was where the country’s export meat trade was born, and which has now turned into a billion dollar industry. Totara Estate was built during the 1850s and it was known for its cattle, sheep and grain. In 1866, the estate was bought over by a Glasgow-based company called New Zealand and Australian Land Company. The Totara Estate Oamaru was then bought over by the New Zealand Historic Places Trust/Pouhere Taonga in 1980 during which the buildings were eventually restored in 1981-1982. An ideal stop on your New Zealand self drive. A tour of the estate will give you an insight on the history of the state, how the farm was managed in the 1800s and how the country’s frozen meat industry evolved. The displays are housed primarily in the former cookhouse and they are a mirror to what life was during the Estate’s heyday. 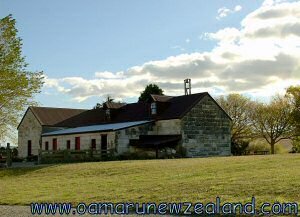 The Totara Estate museum complex comprises of a series of four original structures made from Oamaru stone. Daily guided tours are available and the estate is open almost all year round except for Christmas day, so a visit to the estate surely can be included in your next holidays to New Zealand. The Totara Estate is closed on Christmas day.